Better decisions are made when they are based on good financial information. Below are some important options. Knowing there are alternatives, helps to determine the right choices. Speaking to a lender before beginning your search is an important first step. Estimated Purchase Costs – It is important to know how much you'll need to buy a home not only for the down payment but for all the fees that are charged in connection with getting the loan and conveying title. Mortgage Qualification – Discover what size mortgage you can qualify for. 80-10-10 – There are savings achieved by eliminating Private Mortgage Insurance. Not only will you save money in the initial purchase costs but also in the monthly payment. Alternate Financing Plans – Choices will help you to make a better decision as to how to finance your new home. You deserve to know what options are available and that is exactly what you'll get. Mortgage Accelerator – Discover the advantage of adding an additional amount of principal to your fixed rate mortgage on a regular basis to shorten the term and save tens of thousands of dollars in interest. Applying for a loan and obtaining approval before a buyer finds a home they want to buy is a distinct advantage. Making a loan application is necessary eventually anyway unless you are going to pay cash for the home. Pre-qualification is a procedure where you get an opinion from a mortgage officer about how much you qualify for. In the process, any obvious difficulties hat might cause problems might be discovered. This process is always recommended but it doesn't have the advantages of a pre-approval. Pre-approval requires a complete application with credit reports and verifications. The Mortgage Company will issue a commitment subject to a specific interest rate and points and a satisfactory appraisal when the property is identified. Time limits are usually placed on pre-approval commitments. It is recommended to be ready to look at homes and make a decision after you receive your pre-approval commitment. Looking at the right-priced homes. Avoiding disappointment in deciding on a home that you can't afford. Saving money with a seller who is confident about taking their home off the market with buyers who can have a definite loan commitment. One less contingency that the seller will be concerned with to get their home sold. Closing more quickly. The lengthiest contingency is usually the mortgage approval. Minimizing anxiety from not knowing whether you qualify. Read our next section to learn Why Use a Buyers Agent? 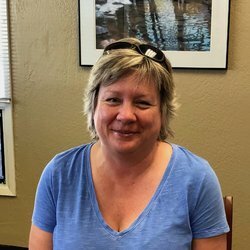 If you have any questions about buying real estate in the greater Santa Cruz area, contact Lauren Spencer, Coldwell Banker Realtor at 1-831-662-6522 or Toll Free: 1-800-226-4717.